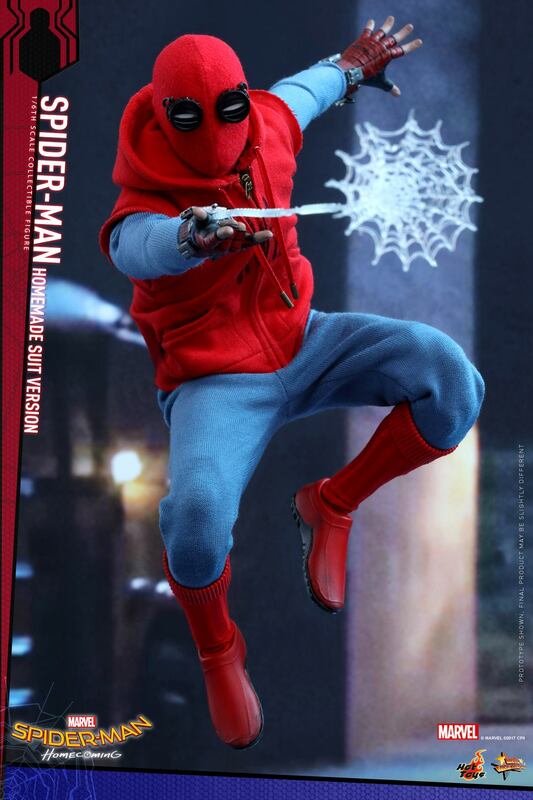 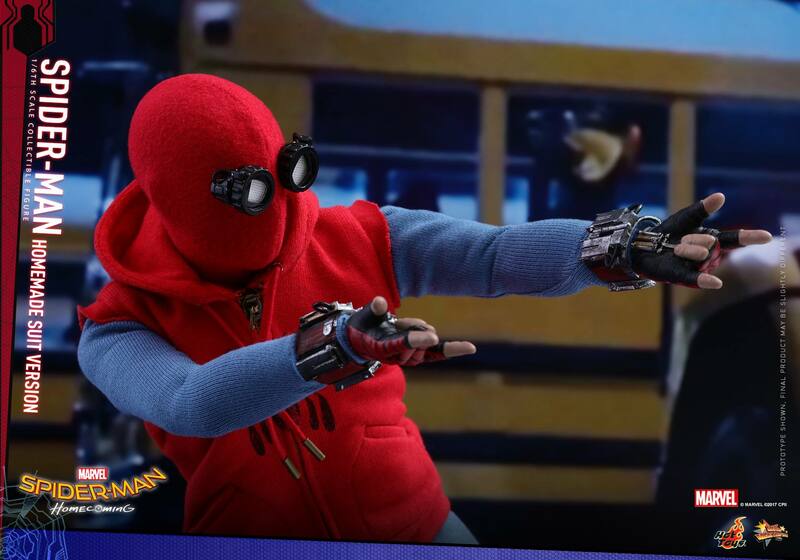 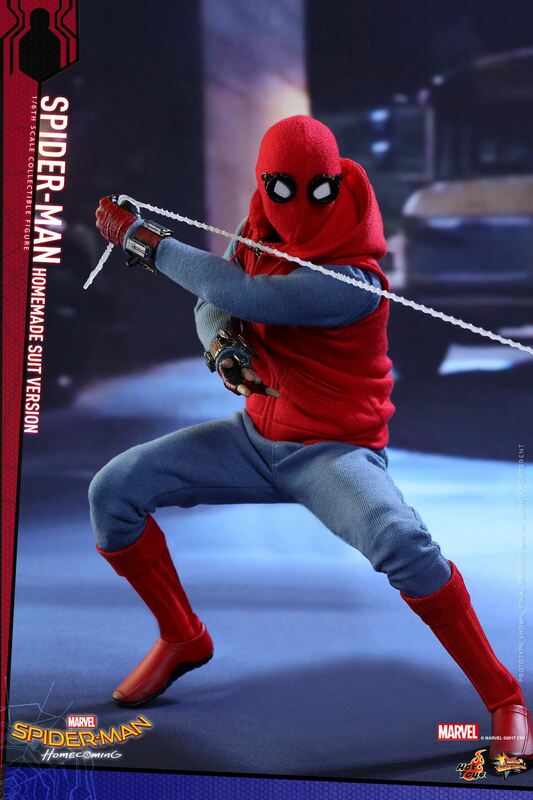 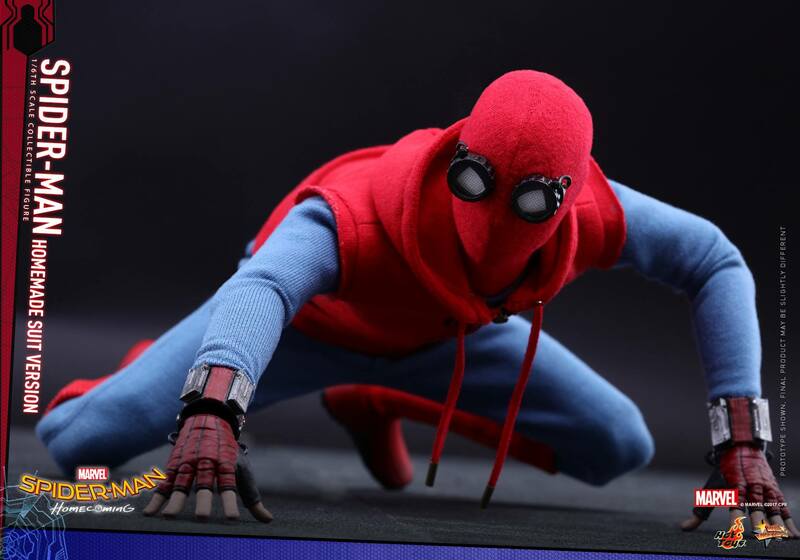 Hot Toys has posted photos and details for an all-new Spider-Man figure. 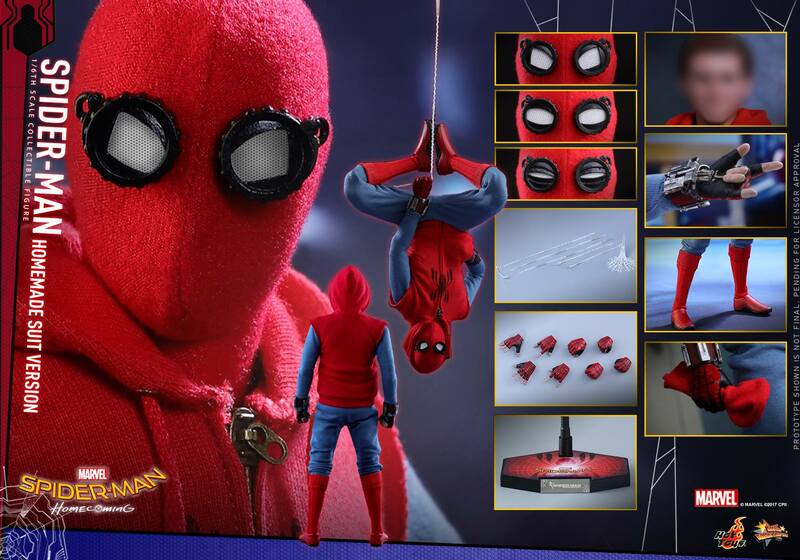 The upcoming release is based on the “Homemade” Spider-Man Suit that will be seen in the Spider-Man: Homecoming movie. 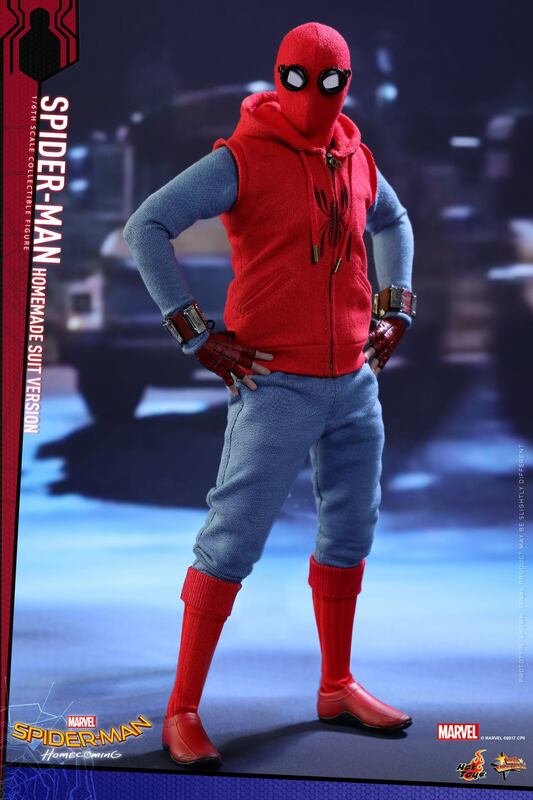 It consists of blue pants and shirt, a red sleeveless hoodie, a knit mask and red socks and shoes. 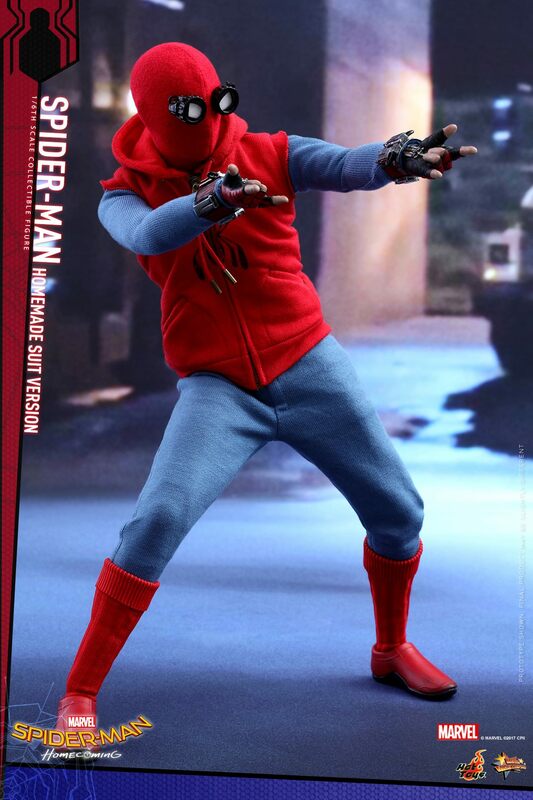 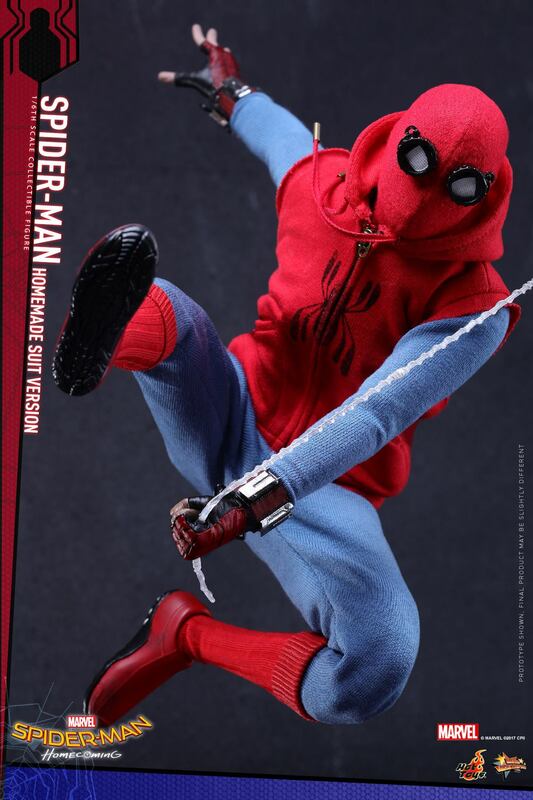 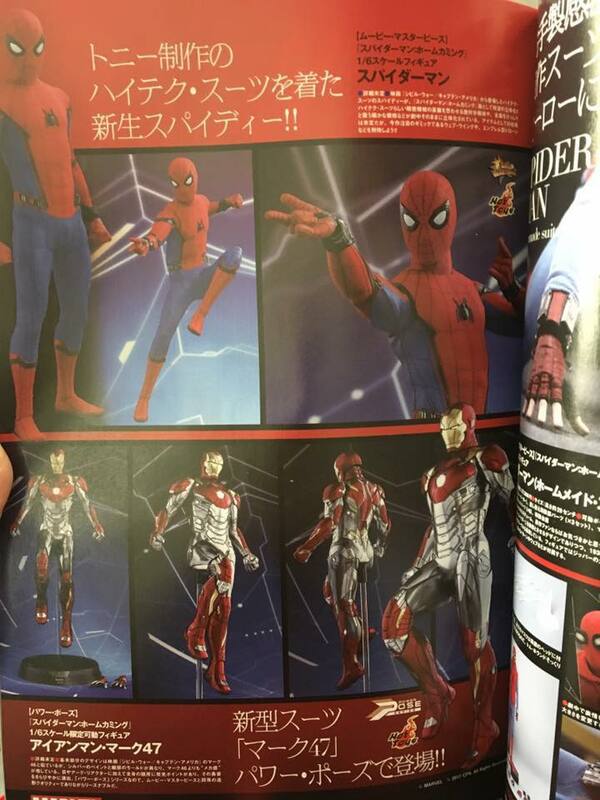 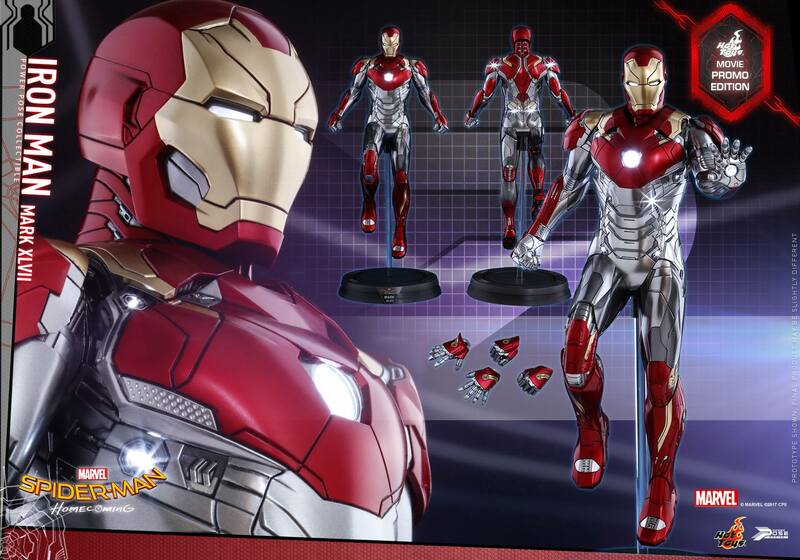 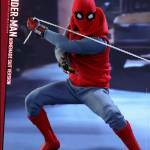 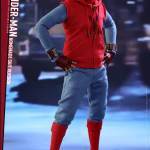 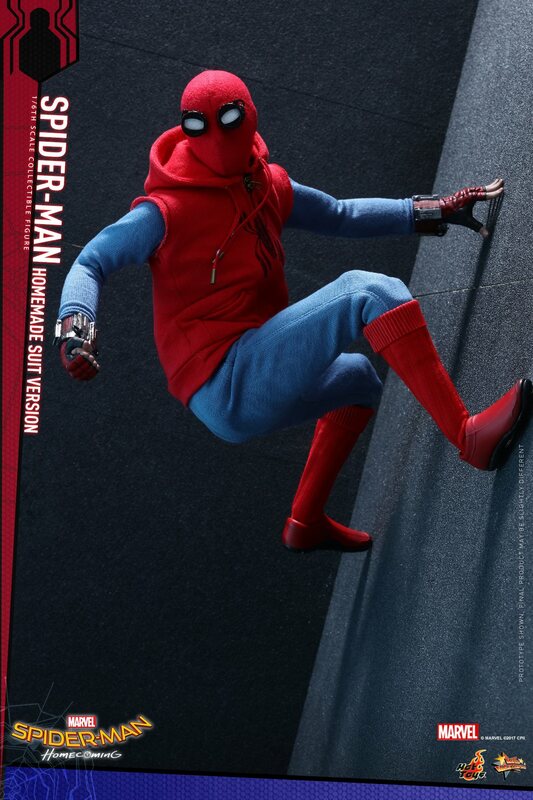 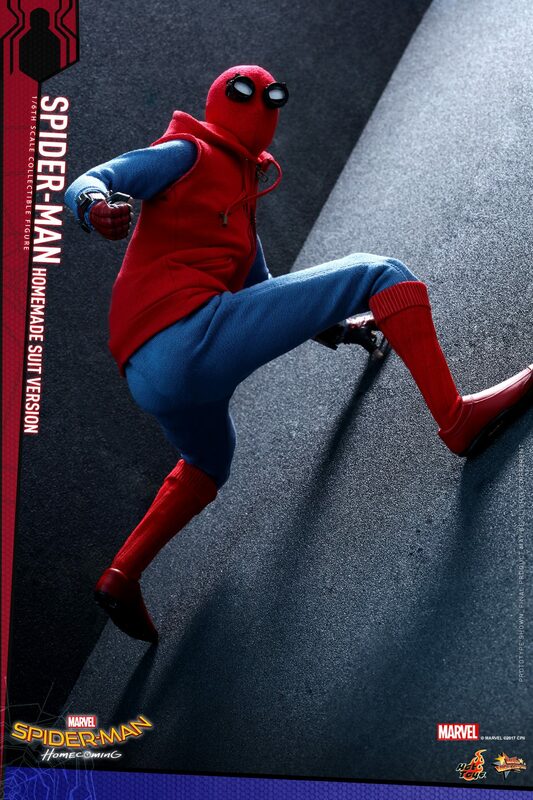 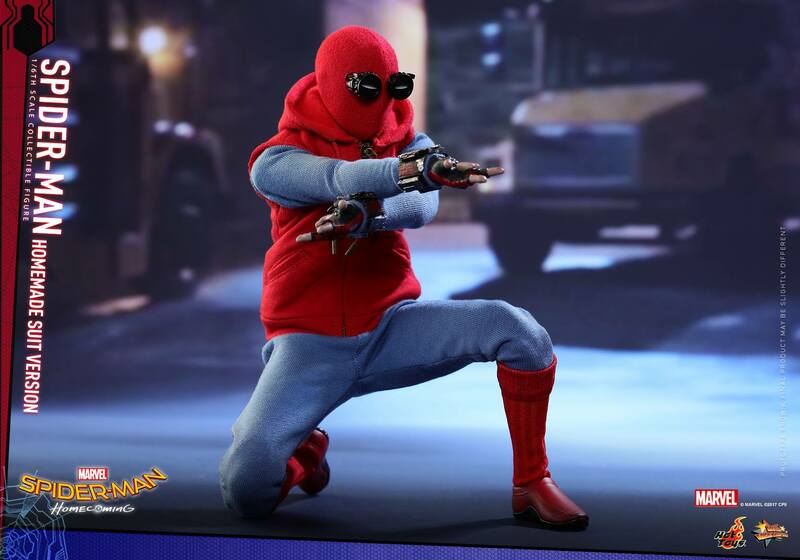 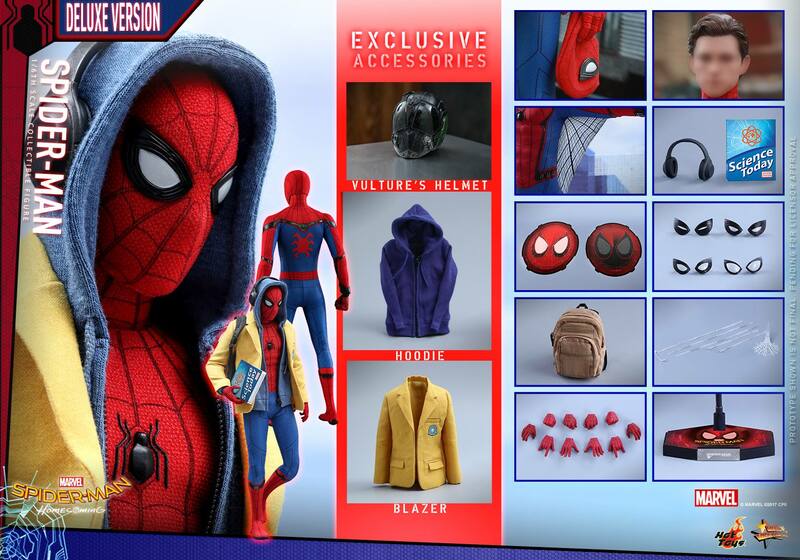 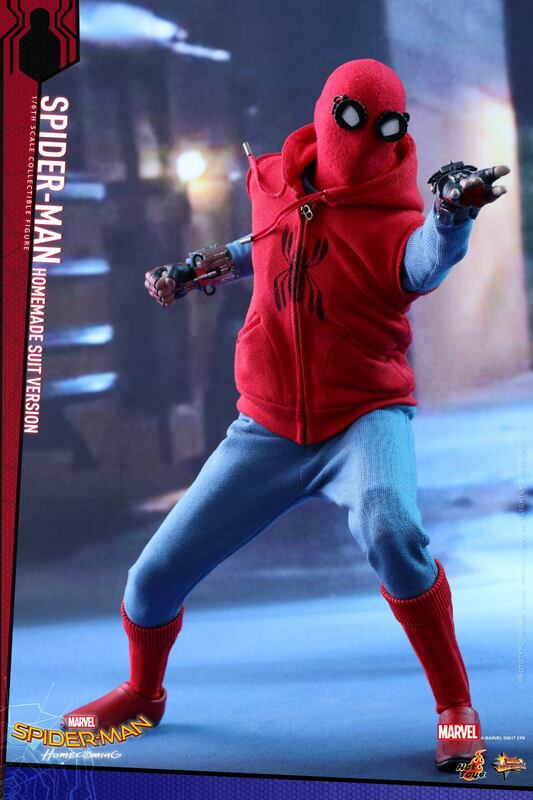 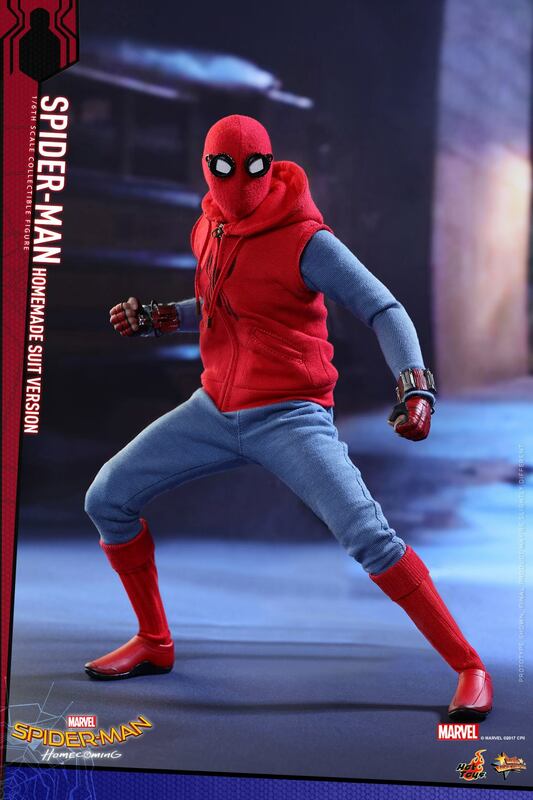 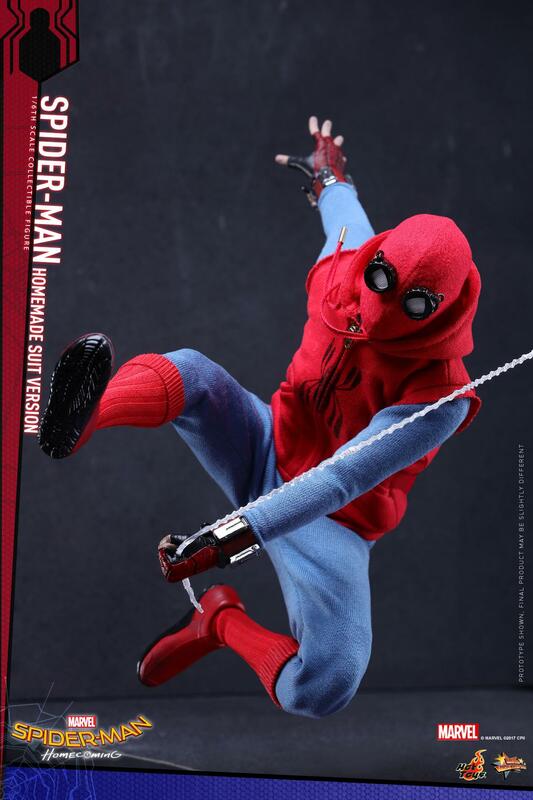 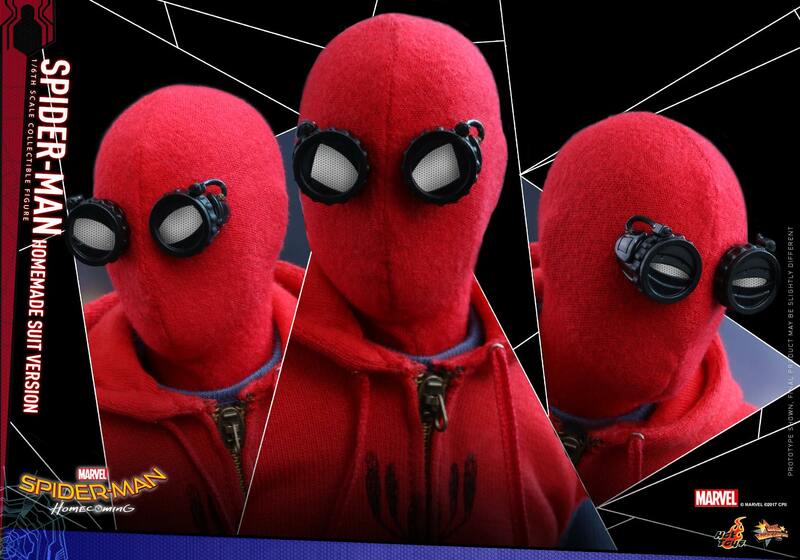 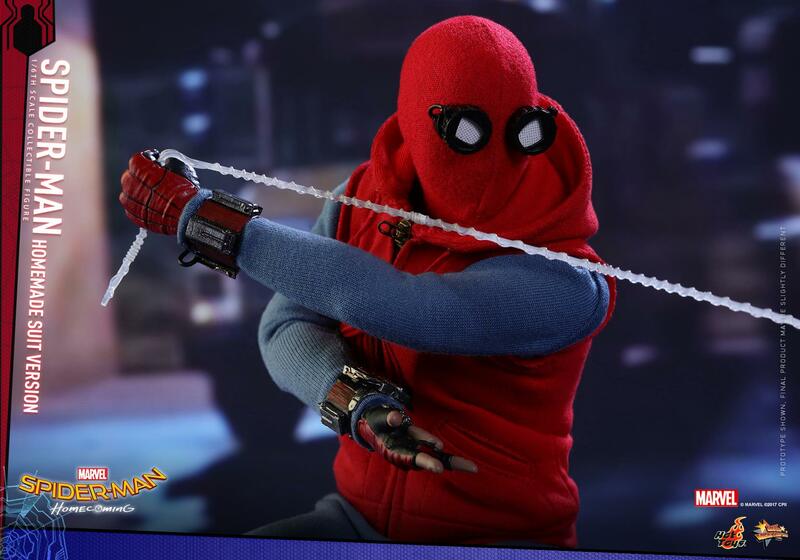 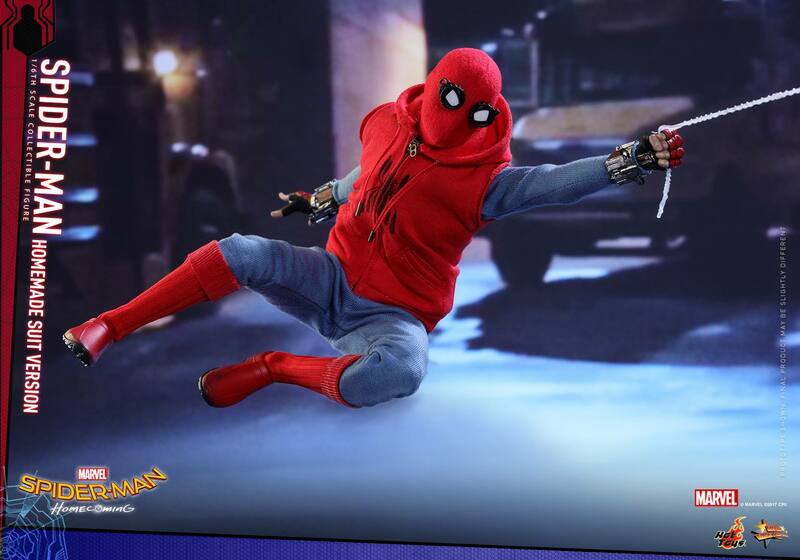 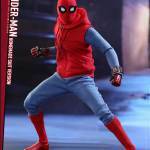 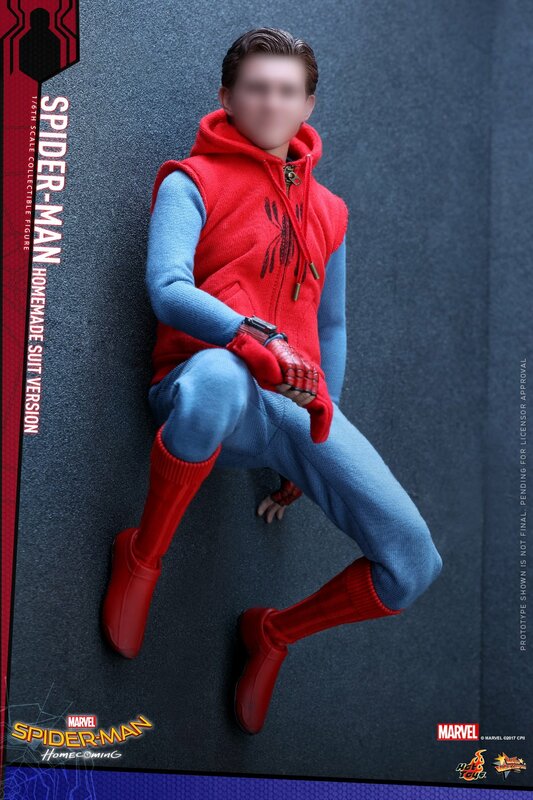 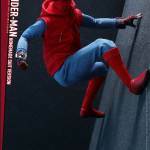 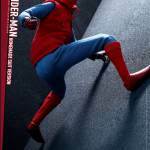 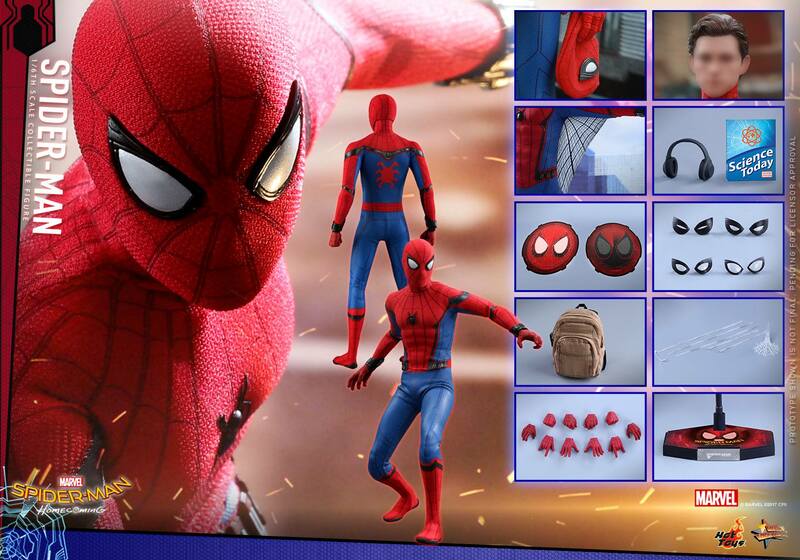 The cloth used here seems to be a little bulkier than you may be used to seeing on a Hot Toys release, indicating the movie version may also use more loose fitting clothing for this version of the suit. 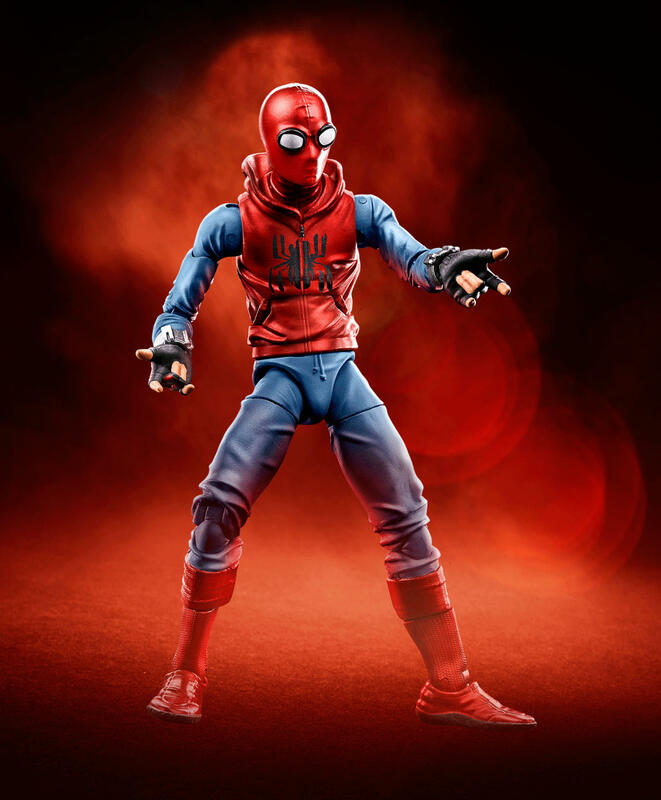 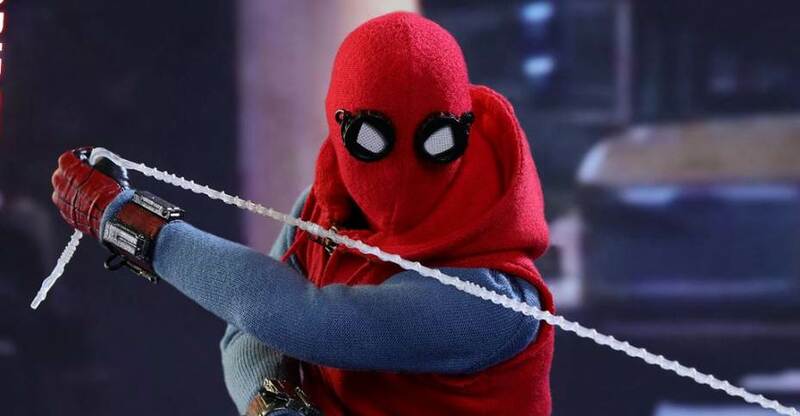 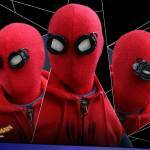 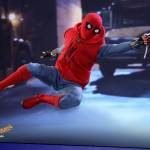 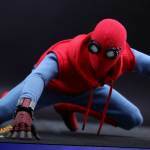 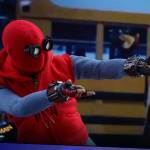 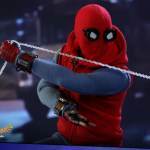 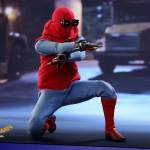 The Spider-Man figure will include masked and unmasked head sculpts, a non-wearable removed mask, interchangeable hands, webbing effects, swap out eye pieces for different expressions and a figure stand. 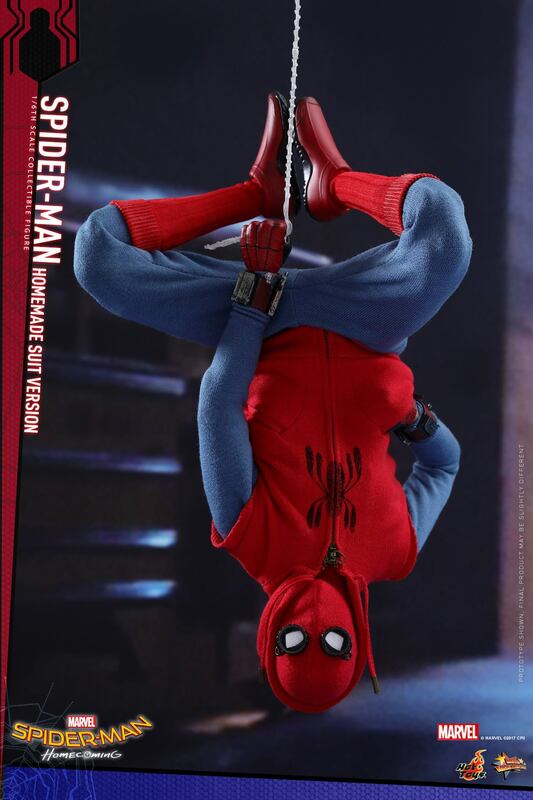 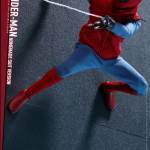 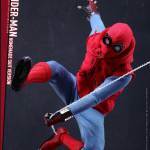 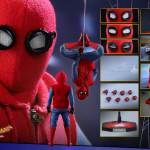 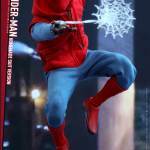 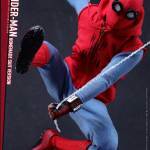 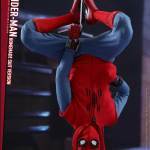 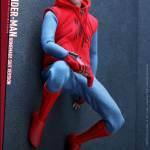 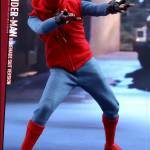 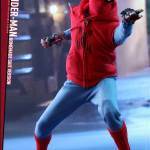 Spider-Man will stand over 11″ tall with over 30 points of articulation. 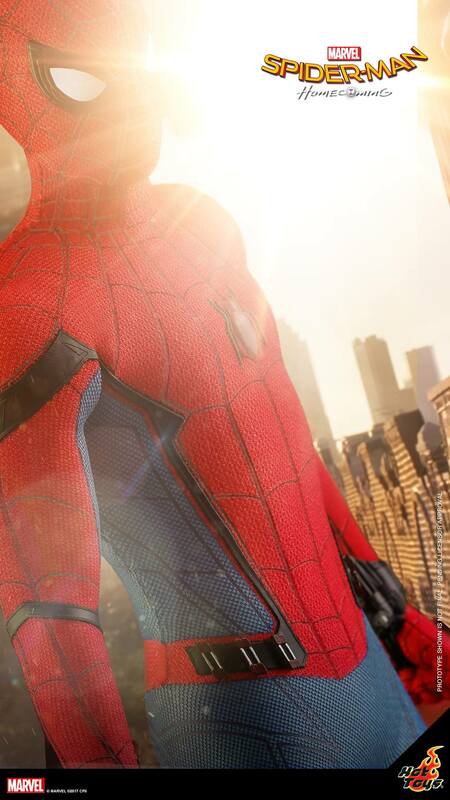 It’s due for release between the third and fourth quarters of the year. 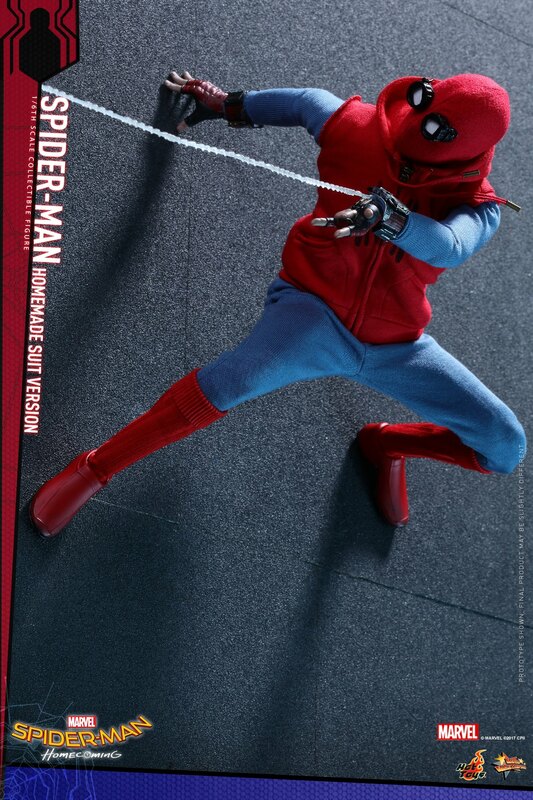 Read on for more photos and details.